Our Technicians are trained and ASE Certified to perform diagnosis, repair and maintenance on your vehicle. Anything from oil changes, to performance upgrades, to scheduled maintenance, we can do it. 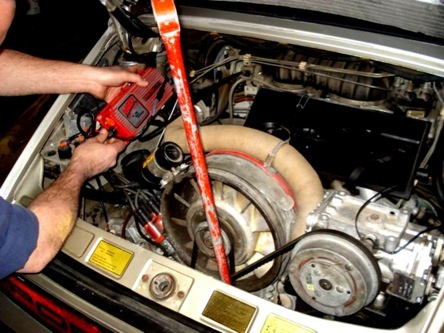 K&M offers Full-Service Auto Repair. We have a 10,000sq ft. building with an alarmed and secured lot. Our 10 hoists, two level pads and a formal wash bay are always buzzing with activity. We have a 3000sq.ft. parts & office space with a library for staff multi-tasking and research. K&M offers a total of 12 staff members with five dedicated full time certified technicians (our senior technician is one of only 18 Bosch MASTER Techs in the nation) and two world class parts associates. We have the latest Computerized Diagnostic Equipment for all facets of automotive service. Listed below are some of the services performed in our shop weekly.